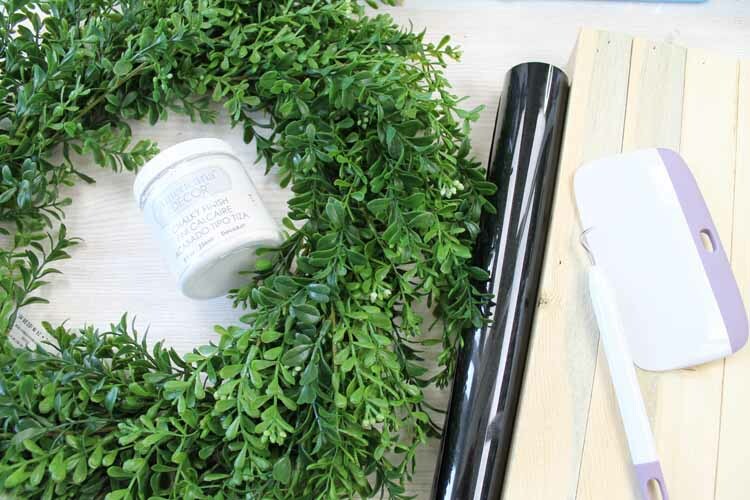 I am ending iron-on week today with a tutorial on how to make a farmhouse wreath. You are going to love this technique because it involves adding iron-on right to wood. Yep! You can put it right on wood! 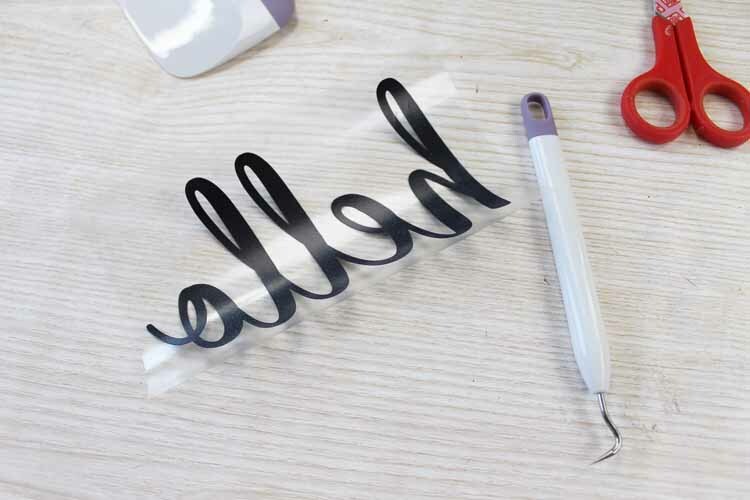 So, start thinking outside of the box with your iron-on projects. Want more ideas with iron-on? You can find more projects at the bottom of this post. You can also enter to win an EasyPress so don’t miss that! Links below may be affiliate links which means that you do not pay anymore, however, a small commission will go to this site. 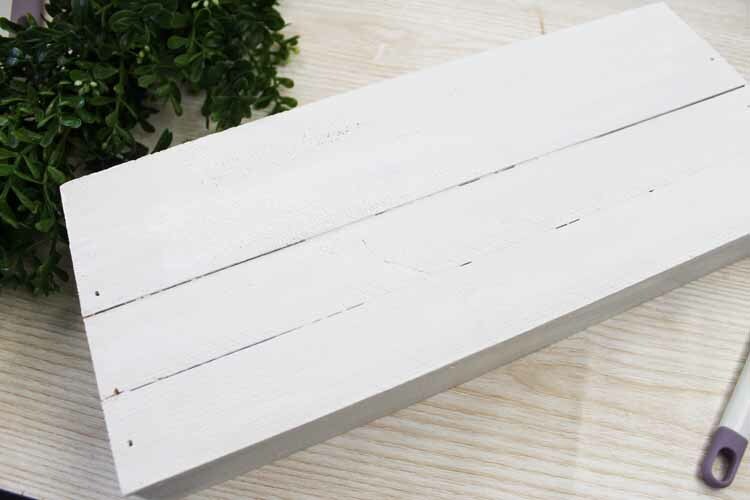 Paint the front and sides of your wood box with white paint. It will probably take two coats. Be sure to paint on one coat, allow to dry, and then add the second. Set aside to dry completely. 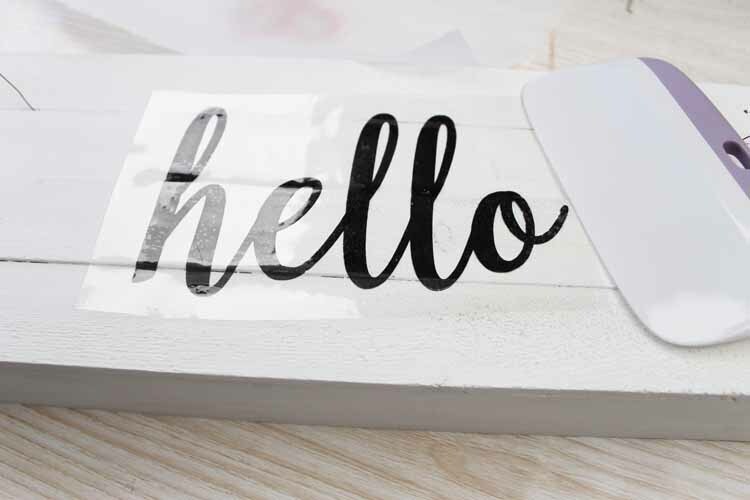 Download the hello file and upload it to the software for your Cricut. You can click here for a tutorial on how to do this. Cut the word from iron on material. Yes we are going to iron this onto wood! It is like magic and you will love the results! Be sure to mirror the image before cutting and cut with the protective sheet down. Weed any excess vinyl as shown below. Weeding tools make this easy but they are optional. 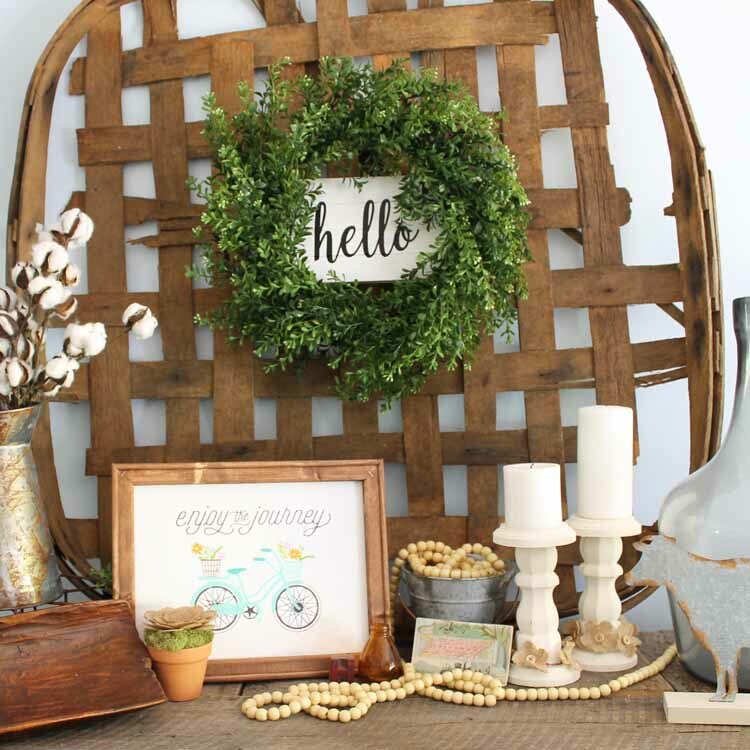 You will also need to add some wire to your pallet box for adding the wreath. 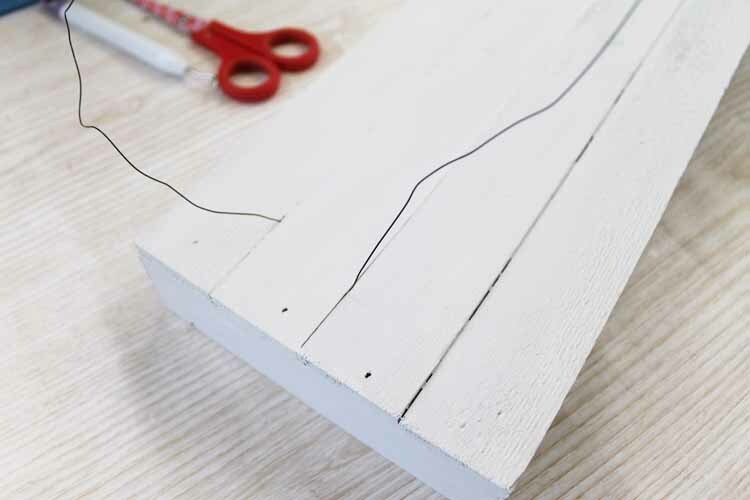 Run the wire through the slats on both ends as shown below. Now we are going to iron this image directly onto the wood. Just follow the instructions that come with your iron-on including time and temperature recommendations. I love my Cricut EasyPress for this and you can actually win one below. I used a straight edge to help push the iron on down into the slats and imperfections of the pallet box. Once completely adhered, peel back your protective sheet to reveal your design. 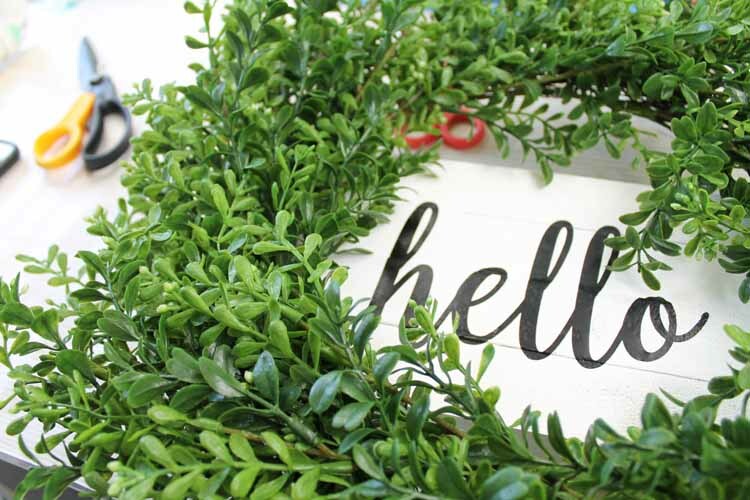 Then wire the wreath onto the sign. 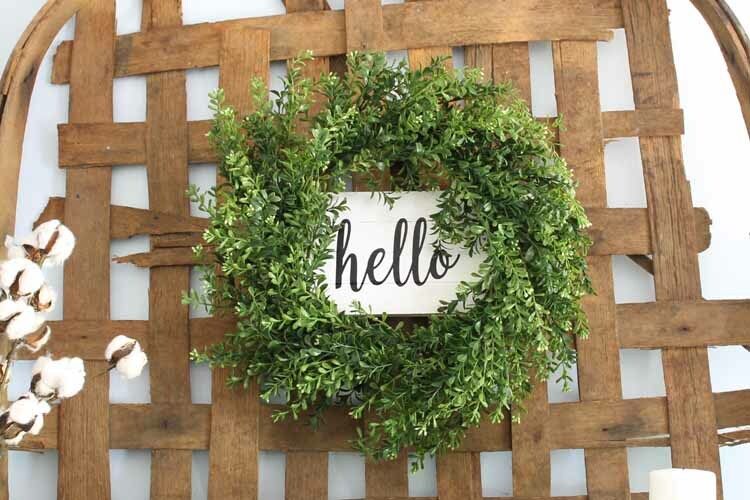 Then you can hang your wreath anywhere in your home. I choose my mantel but you can put it on your front door as well. Love that reverse canvas as well? You can click here to see how to make it. Wondering what this one looks like from the side? You can see an image below. You can see a little of the box but not much! 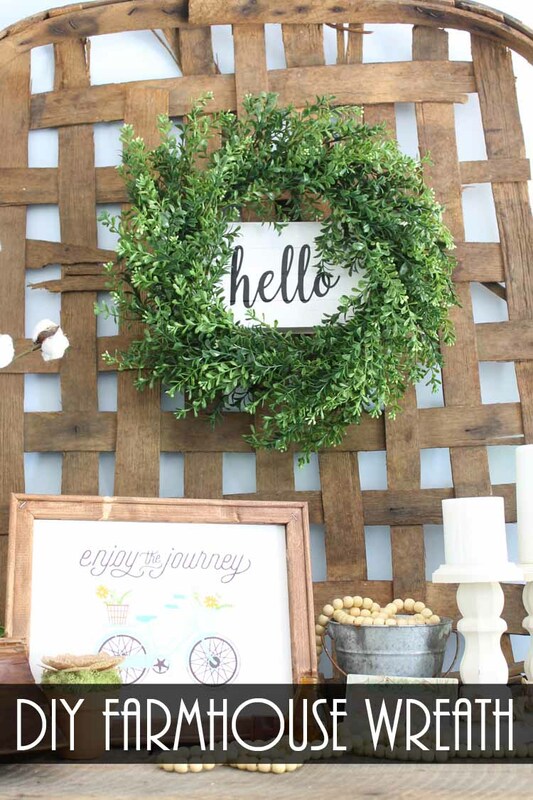 Grab your supplies and try iron-on directly on wood. You will love the results and be making all the things. 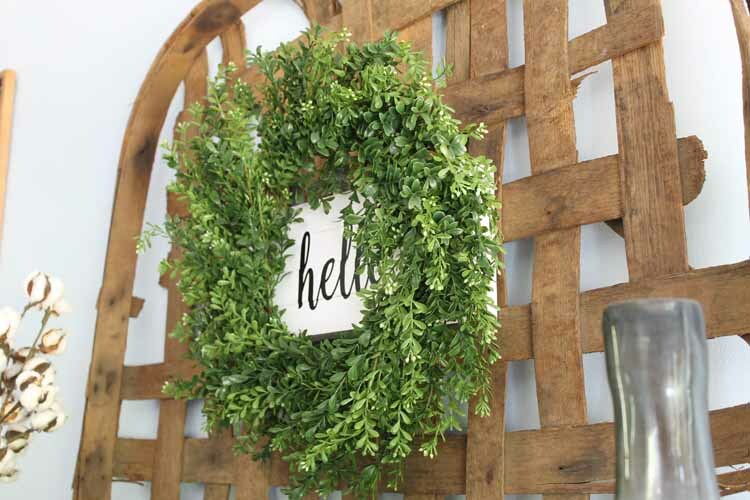 Yes you can even make a farmhouse wreath! 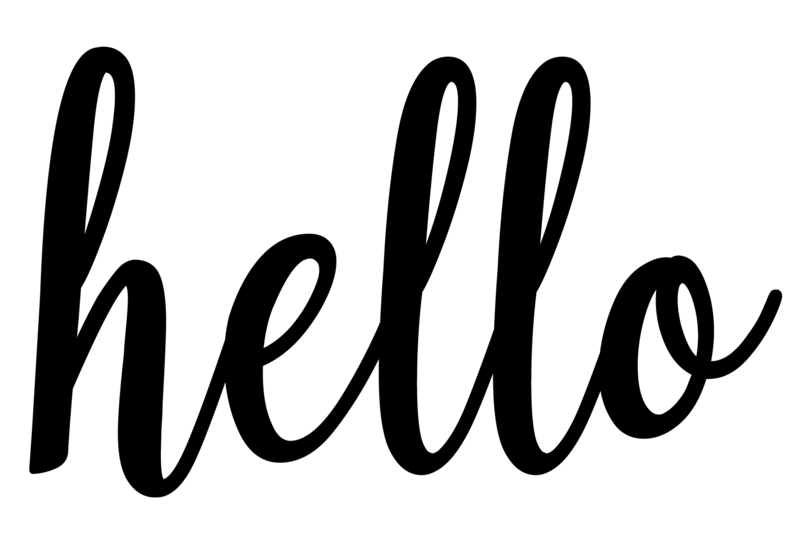 Want to make more iron-on projects? Try the links below! Ready to win an EasyPress and iron-on bundle? ENTER BELOW!